Read what our customers have said about the Green Room - it's expanding! 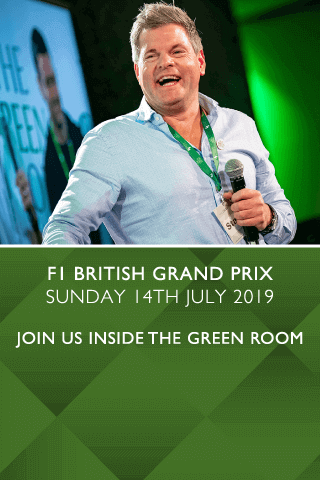 The Green Room experience is expanding, and it recently made its debut at the Cheltenham Festival, with guests mingling with stars from the world of sport and entertainment, it was certainly an event to remember. But don't just take our word for it, take a look at what some of our customers think of their Green Room experience, and hear from the stars on the day. Wonderful day at Cheltenham Gold Cup day. All the staff in The Green Room were very friendly and seemed caught up in the atmosphere of the day too. They were very personable and chatty and very attentive, and the compère was hilarious. An excellent service provided for the Eng v Wales game. We were seated next to a table of celebrities who were more than happy to have photos taken. Our guests on the day have since said it is one of the best days out we have hosted so far.